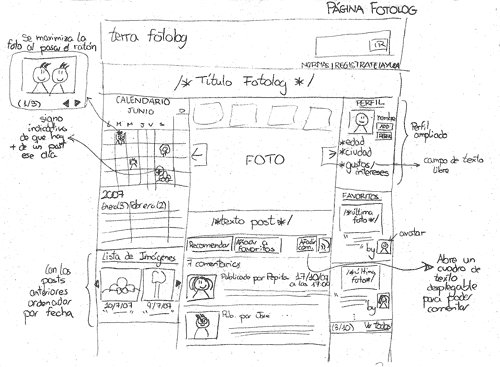 Fotolog was losing ground against other Web 2.0 services and we at Telefónica I+D created a proposal, based on competitive research, polls, interviews and co-creation, to update it to current standards. 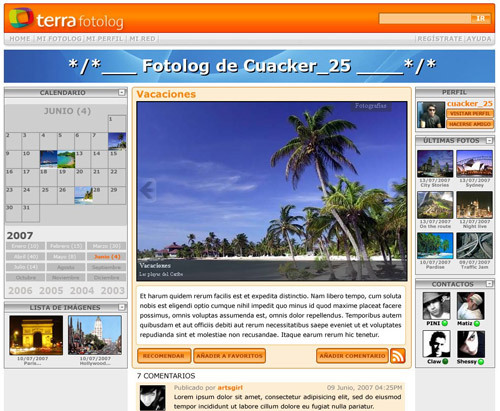 Terra LATAM (Latin-America) Fotolog was Telefónica’s photoblogging platform for South America. 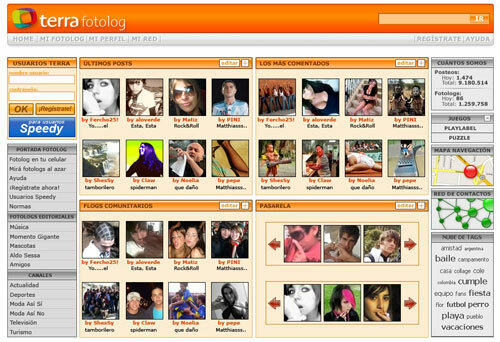 The platform was outdated and outperformed by the new wave of web 2.0 services, so Telefónica I+D was asked to present a redesign proposal. User Experience was considered one of the main points of the new redesign, therefore a specialized outside contractor (Óscar Tomico, expert in Innovation Processes in Product Design) was hired to perform user research. The first step was an exploration phase, with research (including site research, competitive research and quantitative polls) that concluded in the creation of user profiles or personas (which were used to review the current version of the service), and a HTML prototype. Then a validation phase started, where users where confronted with the prototype in co-creation qualitative interviews: they were encouraged into rating several aspects of the prototype, told to justify their ratings, and then asked for an ideal solution for the causes of low ratings. This input helped identify problems and offered some starting solutions that ignited brainstorming. Once analysed, the result was a final iteration of the HTML prototype and a document with future proposals and guidelines. Carried out research, using the site and analysing the way users interacted with it, both on-site and off-site (through forums and other social networks), and performed competitive research on similar sites. Met with Telefónica I+D’s online business experts for insights on future trends in social services. Analysed results from research and user polls and turned them into personas, using them to rate the service afterwards. Created wireframes (together with Diana Lama) for the HTML prototype. 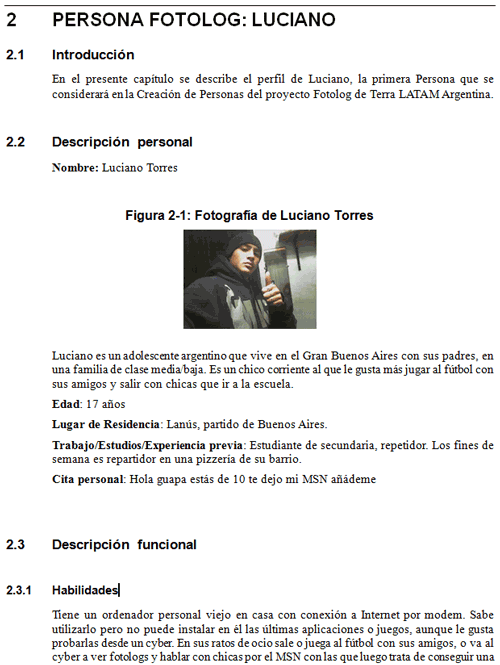 Assisted user interviews (led by Óscar Tomico). Analysed research, and then created designs for the final iteration (which originated a new HTML prototype) along with several proposals for future versions. Understood what User Experience is, and why “User” is so important. First-hand experience with user research, both quantitative and qualitative. Practiced some common UX techniques like personas and brainstorming.